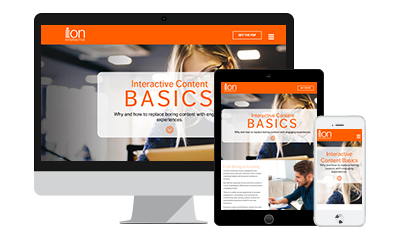 Use ion interactive's collection of interactive content marketing white papers, solution guides, research papers, eBooks and toolkits. Generate, qualify and deeply profile more leads with interactive content marketing. See how to increase engagement, consumption, conversion and measurement with interactive experiences. The B2B buyer’s journey is one of self discovery that’s effectively enabled with engaging, useful content. 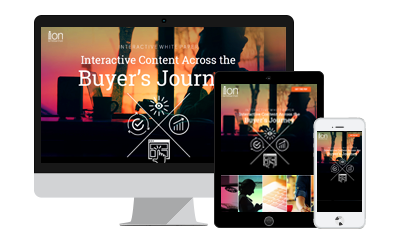 This five chapter interactive white paper explores using interactive content to enable and accelerate the early, middle and late stages of the journey. 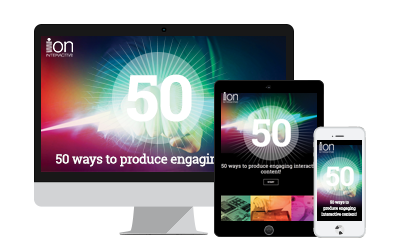 Want a fun way to get 50 ideas for improving content engagement using the ion platform? That’s what this interactive lookbook is all about. Each ion platform capability is illustrated as an example of itself.